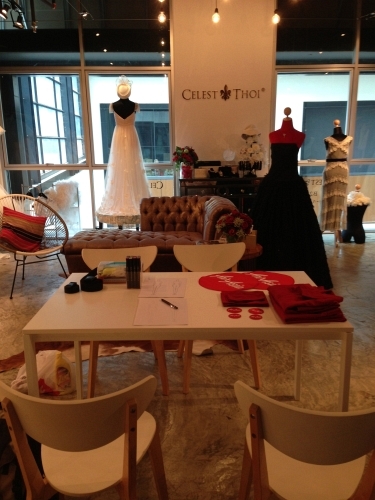 Celest Thoi Debuts in The Apprentice Asia! Are you an avid follower of The Apprentice Asia? If you are, did you notice a rather familiar face been featured in the most recent episode, that looks just a tad like me? If your answer is yes, then you’ve just caught Celest Thoi in the 7th episode of Apprentice Asia! Unbeknownst to most, I had the opportunity to play a part in the exciting series thats making its rounds in our local region. For this latest episode, the contestants were tasked to create a few sets of uniform for the AirAsia crews, ramp and guest services staff, where they only had a limited amount of time to do so. Here’s where I stepped in; as a designer, I had my own challenge to overcome. Based on the contestants designs, I was given the job of guiding them, and also to fit and produce these uniforms – all in less than 24 hours! First of all, the production crew turned up at my showroom in Publika, heavily loaded with their camera equipments that I wasn’t sure would fit in through the door! As they began setting up their machines, the contestants arrived, and as Sherlock would say, the game was finally afoot. 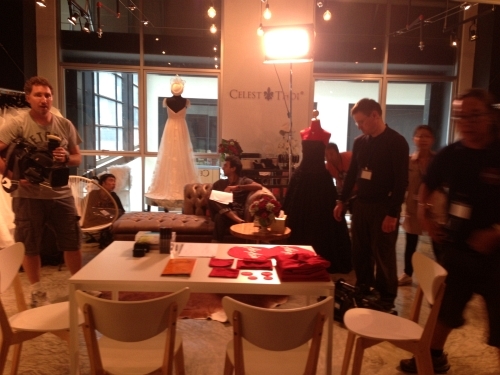 My little showroom was soon filled with people moving around, and cameras being set up everywhere. I was wired here and tested for sound. It soon got a bit cramped. The contestants from Team Mavericks, hard at work. I’m rather camera shy, so it was initially quite difficult to work with so many lenses pointed in my direction. After sketching and re-sketching, the designs were finally done. The hard part, however, had just begun! The moment the contestants stepped out the door, my team and I rushed over to the workshop to work on the drawings, and turn them into something solid. Before we could get to work, we were dropped a bombshell – Mr Tony Fernandez changed his staffs who are going to model the outfits at the very last minute! To a designer that had already taken measurements, its like telling the groom waiting at the altar that they’ve switched the bride to another woman. 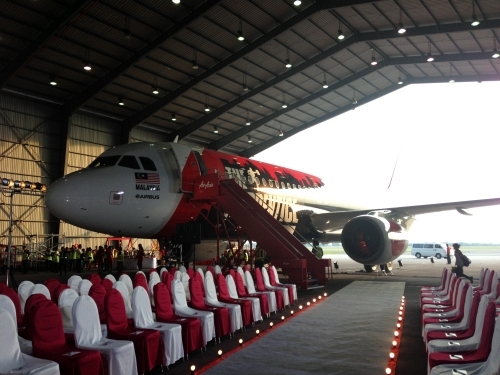 We had to wait until 8 p.m. for the new AirAsia staff to arrive and take new measurements all over again. We were half hysterical with the amount of work needed to be done in a single night, hence the wild laughter and we tried to do whatever we could before the new models arrived. Had to change out to something more comfy…busy stitching, sewing, and slaving away! Here’s one of the tall, statuesque models, trying on her new uniform. Staff of Air Asia… Aren’t they simply gorgeous? 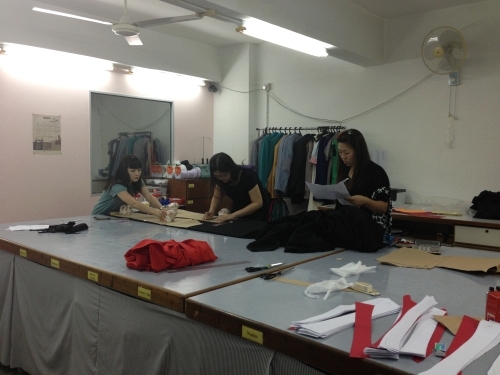 By 4.30 a.m., we did the impossible, with the creation of 4 new sets of uniforms! This stint certainly created a new record for me. Weaving on my feet with exhaustion, I took a short trip home to shower, and take a breather and catch 40 winks.It was hardly that many winks, however, before the clock struck 11 a.m., I was back at the workshop to wait for the models to perform their fittings at 12 p.m.The models, however, only arrived at 2 p.m., and the call time at the airport hanger was at 4 p.m., which only left us barely 2 hours to alter their uniforms! Blazing through the alterations, we managed to pull it off, and hurdled down to the airport. 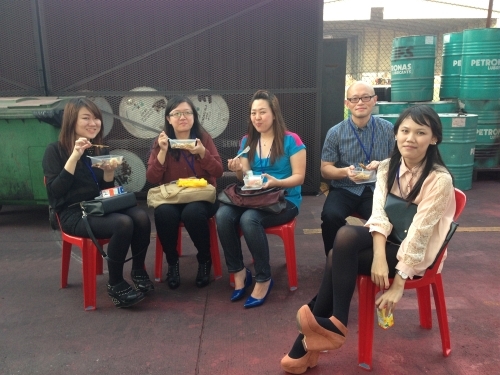 After the uniforms were carted off, my team and I finally got to sit down and nurse our sore feet! 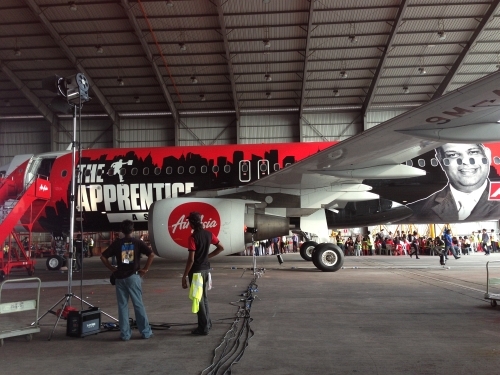 At the hangar, we saw the custom-designed airplane that carried The Apprentice logo. Truly one of a kind! And here we are, nursing sore feet and getting a bite. The hangar was converted into a hippy runway – for models, not planes. 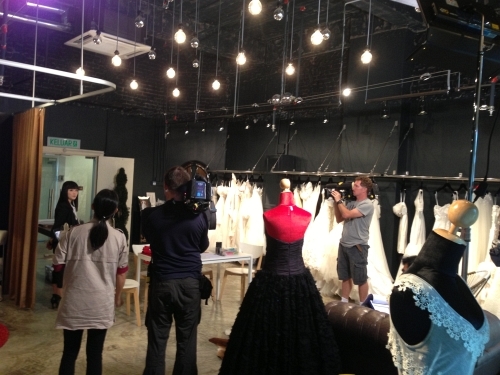 Film crew capturing some footage of the contestants. Seeing the bright lights and glamorous attendance, it was all certainly worth it! 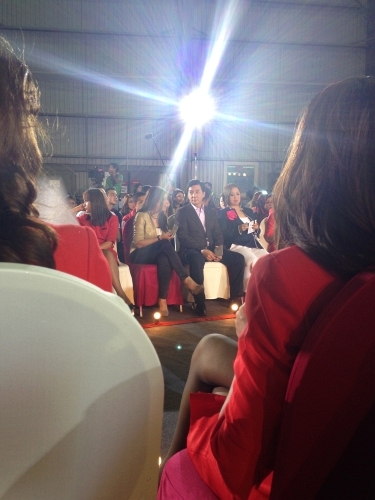 Many thanks to AXN and Mr Tony Fernandez and AirAsia for granting this opportunity to me and my team! It had been an amazing experience! Woohoo! With AirAsia, now everyone can fly!